The test pilot’s report is the latest evidence of fundamental problems with the design of the F-35 — which, at a total program cost of more than a trillion dollars, is history’s most expensive weapon. The U.S. Air Force, Navy and Marine Corps — not to mention the air forces and navies of more than a dozen U.S. allies — are counting on the Lockheed Martin-made JSF to replace many if not most of their current fighter jets. And that means that, within a few decades, American and allied aviators will fly into battle in an inferior fighter — one that could get them killed … and cost the United States control of the air. The fateful test took place on Jan. 14, 2015, apparently within the Sea Test Range over the Pacific Ocean near Edwards Air Force Base in California. 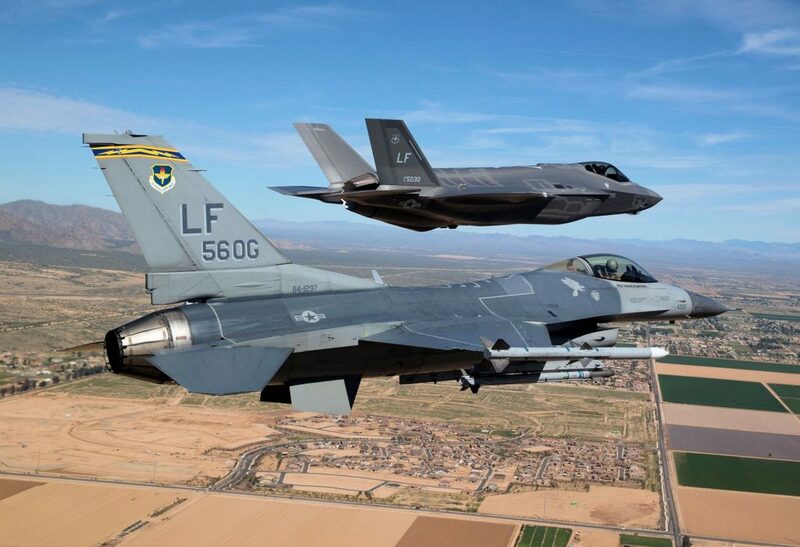 The single-seat F-35A with the designation “AF-02” — one of the older JSFs in the Air Force — took off alongside a two-seat F-16D Block 40, one of the types of planes the F-35 is supposed to replace. In other words, the F-35 pilot would fly his jet hard, turning and maneuvering in order to “shoot down” the F-16, whose pilot would be doing his own best to evade and kill the F-35. The defeated flier’s five-page report is a damning litany of aerodynamic complaints targeting the cumbersome JSF. The F-35 pilot came right out and said it — if you’re flying a JSF, there’s no point in trying to get into a sustained, close turning battle with another fighter. “There were not compelling reasons to fight in this region.” God help you if the enemy surprises you and you have no choice but to turn. But there’s a problem — this sliding maneuver bleeds energy fast. “The technique required a commitment to lose energy and was a temporary opportunity prior to needing to regain energy … and ultimately end up defensive again.” In other words, having tried the trick once, an F-35 pilot is out of options and needs to get away quick. In the end, the F-35 — the only new fighter jet that America and most of its allies are developing — is demonstrably inferior in a dogfight with the F-16, which the U.S. Air Force first acquired in the late 1970s. The test pilot explained that he has also flown 1980s-vintage F-15E fighter-bombers and found the F-35 to be “substantially inferior” to the older plane when it comes to managing energy in a close battle.